Since the garage door is the largest door on your home, it’s important that the door is performing properly to keep your family and your belongings safe. 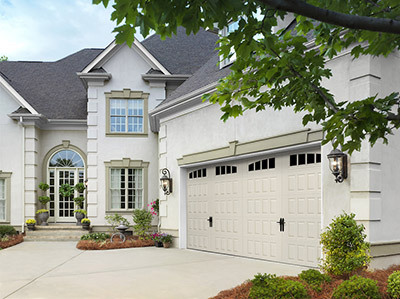 We offer a variety of garage doors that will fit your style and budget needs. Start your garage door replacement project with Feldco today! A garage door can experience a significant amount of wear and tear so choosing a company that specializes in garage door replacement is vital. 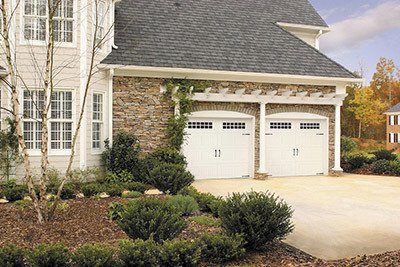 With garage doors that are durable, energy-efficient and beautiful, Feldco is the perfect choice for Peoria homeowners. Not only will you get a garage door that will protect and complement your home, you will also benefit from the professional installation we provide with all of our garage doors. No matter if you choose a standard steel garage door or a carriage style garage door, you will be delighted in the transformation of your home. You’ll have a great new garage door to enjoy for years to come. Made with heavy gauge steel designed for great durability and energy efficiency choose from a variety of panel designs and glass inserts to create the garage door that will be perfect for the look of your home. If you’re looking for a more traditional garage door but with the durability of heavy gauge steel, our carriage style garage door is perfect for you. With a variety of color and hardware options available, it makes garage door replacement an easy process. Replacing your garage door is a great way to improve your home’s energy efficiency. This is especially true if your garage is attached to your home. Any of our garage doors will help insulate your garage and, as a result, make your home more comfortable. Even if it isn’t attached, having a properly insulated garage door will protect any belongings in your garage from the outside temperatures. Feldco will make sure your garage door replacement is stress-free from start to finish. From meeting with our Product Specialist and receiving a quote to the final installation and clean-up, you can be rest assured your replacement project will go smoothly. So what are you waiting for? Start your garage door project today!